The concept of sustainability is widely acknowledged as a political guideline. The economic, ecological, social and cultural aspects of sustainability are already under discussion. 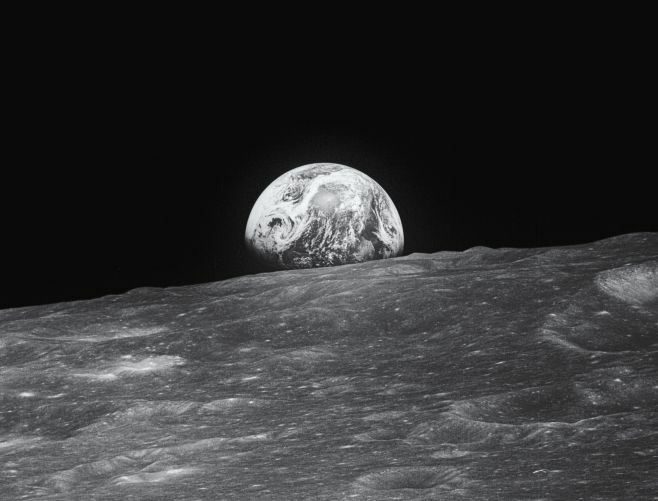 The pressing problem of space debris and current space mining efforts demand that the discussion becomes a broader one about «planetary sustainability», including the space surrounding Earth. 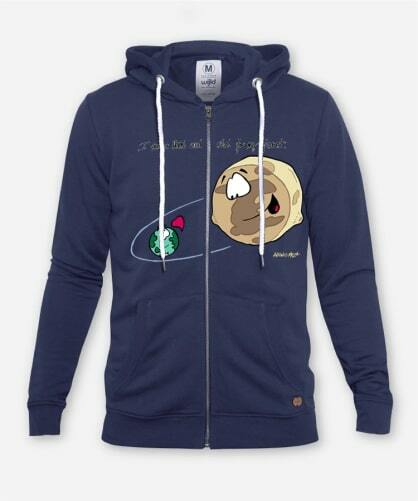 A multi-planetary society, where the resources of the solar system are available to the people of Earth. While all of these dimensions are essential, the project will especially examine and ethically evaluate how realistic and meaningful the rarely-researched third point is. Ethical guidelines are necessary in space, and which ethical tradition shall be applied in this intercultural environment? 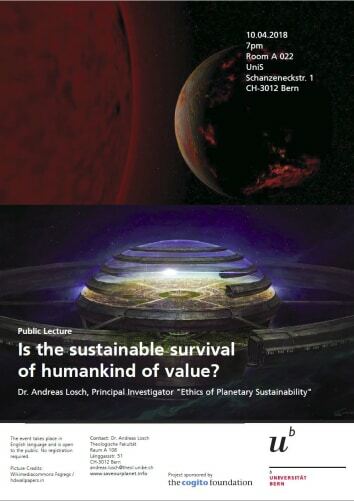 How far is the principle of sustainability a guideline itself? This includes questions such as: Who is allowed to travel into space, is this only about money? There are more and more satellites, what do we do with their junk after they break? Should we cooperate on the moon with companies to build a telescope on its other side, hidden from Earth? Finally, who may keep what has been extracted through asteroid mining? 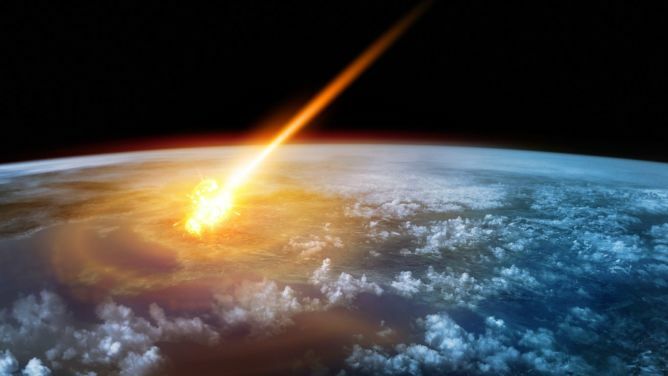 To whom does the asteroid belong? Are we allowed to exploit Mars just like that? HINT: Project donations run through the University of Bern, so in Switzerland it is tax-deductable. Make use of this unique opportunity! For the project to run as smoothly as possible, I need to keep my world-class assistant Emanuel, who is worth every investment. I also need money for travel, e.g. to propose the 18. 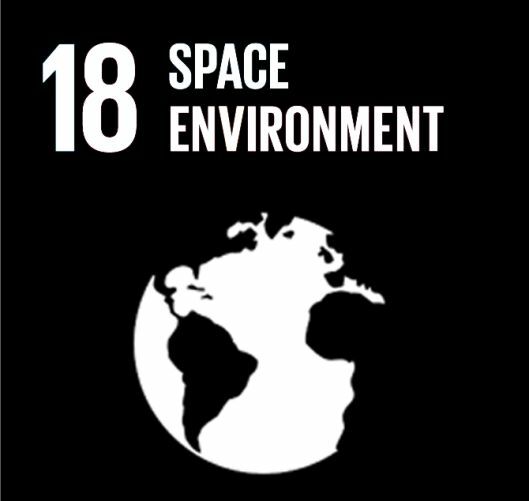 SDG at the UN space conference this summer (you are more likely to be accepted if you have your own money). Also, translations are important (we are talking about the whole planet here), to have a say within different research traditions, which costs money as well. Finally, I would like to extend my own (68%) position at least by a month. Thereafter, we have reason to hope a foundation will help again. 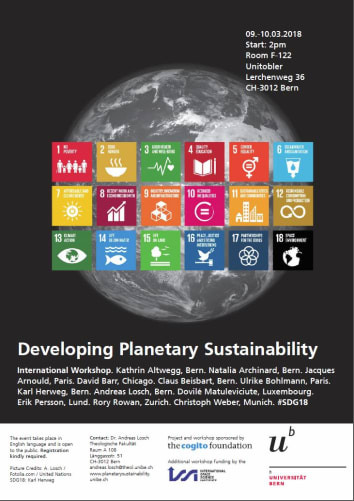 We think, planetary sustainability is a big thing. For detailed spending of money see the news. This project ended successfully on 13/4/2018 12:46! You may not have that much money? Never mind, you too can be part of this project, we thank you very much, your reward is written in the stars, you are stardust, as we all are. I will perpetuate your name (at least) on the homepage as such. You have been granted a gift to yourself! I thank you for this ideational support. I will mention you on my homepage and in project publications as a "shooting star". I will mention you on my homepage and in project publications as "meteor". Perhaps you will bring some life to Earth. You will receive a signed project poster, as you are part of the project. The Perseids are a recurring meteor shower every year in the first half of August. The apparent origin of this stream lies in the eponymous constellation Perseus; however, it consists of the decomposition products of comet 109P / Swift-Tuttle. Earth is always crossing the track of dust left by this comet in space on August 12th. You are one of the first to sift through this sky spectacle and get a project poster signed by Antonio Meza personally, limited to 25 copies. Your name will be immortalized in publications and on the website under "Perseids". With the naked eye 6000 visible stars can be seen around the globe at night and in dark places. Everyone knows the fascination of starry skies and the amazement of it all, and the star and science fans in Latin America will be amazed and thank you, because you are there to sponsor an event (ideally a conference) with me, topic: something scientific. Your name will be immortalized in publications and on the website as a "visible star". I will mention you on my homepage and in project publications as "asteroid". 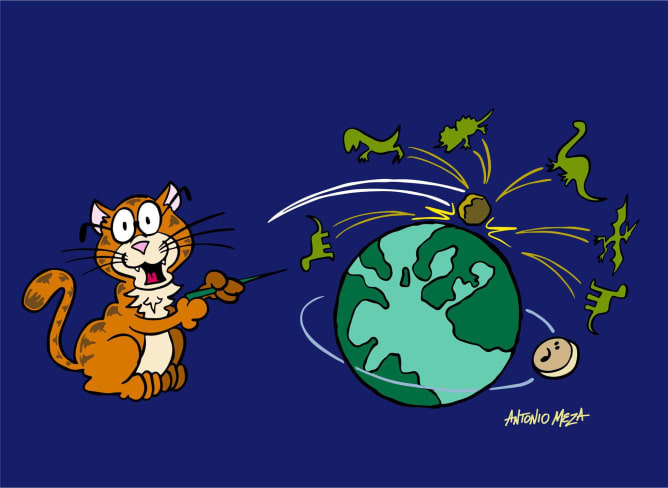 Asteroids have quite the impact, think about the dinosaurs. 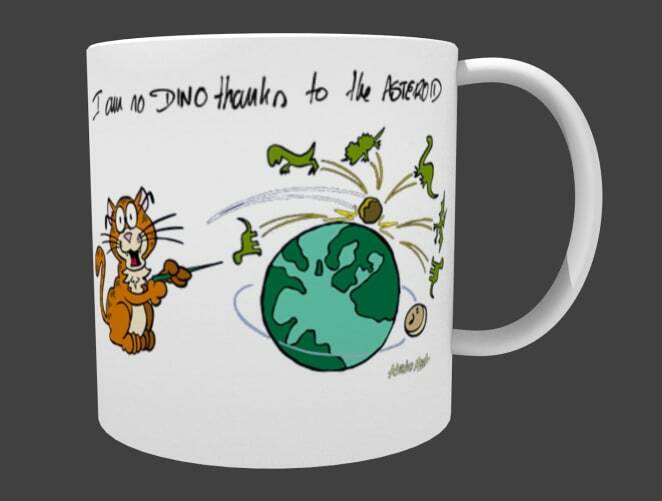 You will receive a mug with the inscription: "I am no dinosaur. 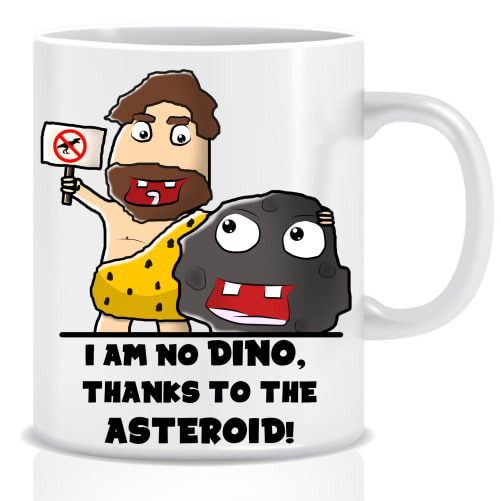 Thanks to the ASTEROID". 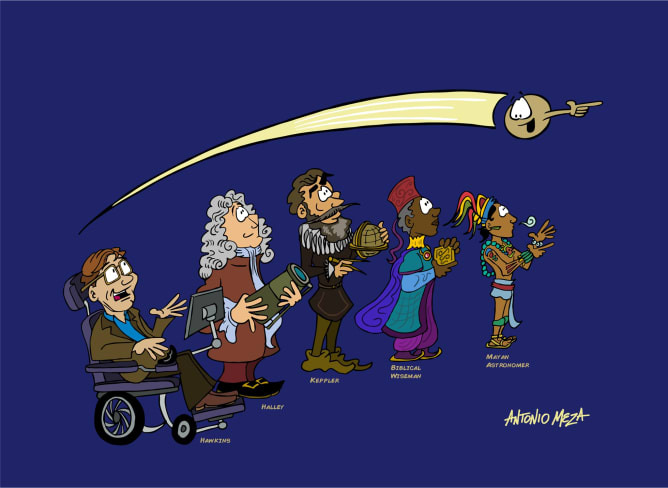 I will mention you on my homepage and in project publications as "comet". Comets lead the way, think of Rosetta's Tschury or just about Bethlehem. 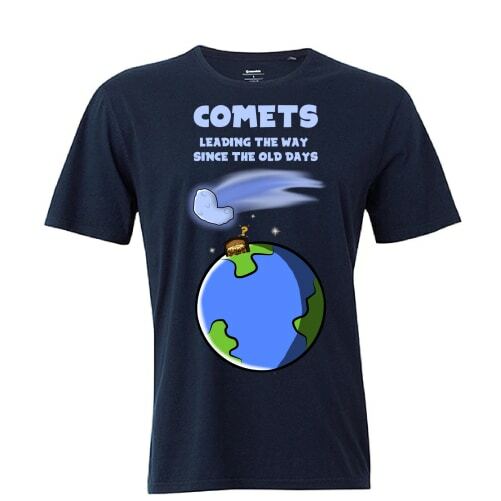 You will receive a T-Shirt with the inscription: "COMETS. Leading the way since the old days." I will mention you on my homepage and in project publications as "moon". 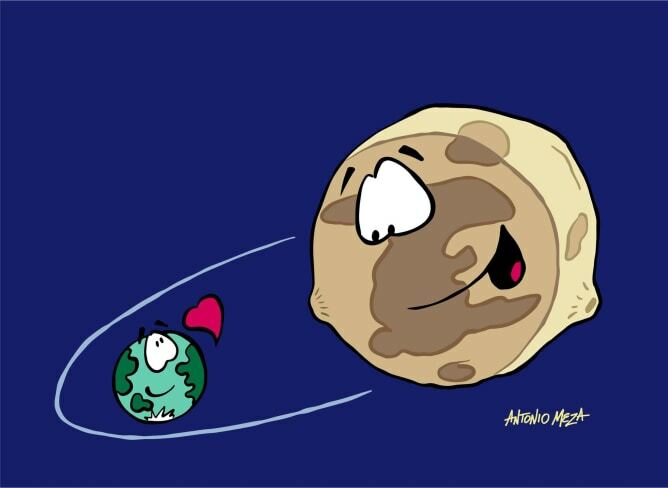 Moons are vital for planets like ours. 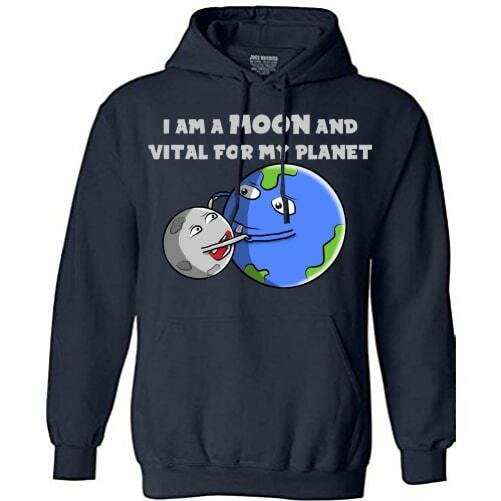 This is also written on the hoodie which you will receive: "I am a MOON and vital for our planet". I will mention you on my homepage and in project publications as "comet shower". Comets lead the way, think of Rosetta's Tschury or just about Bethlehem. 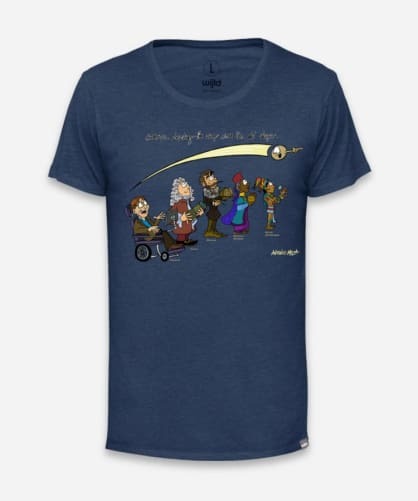 You will receive three T-Shirts with the inscription: "COMETS. Leading the way since the old days." I will mention you on my homepage and in project publications as "meteor shower". Chances you will bring life to Earth are increasing. You will receive ten project posters without signature. I will mention you on my homepage and in project publications as "planet". Without planets... I guess you know. You receive a signed copy of the project's book (when it is published). The Kuiper Belt is made up of all sorts of objects that are still out of Neptune's orbit, and most comets result from there. You can choose freely from all the unlimited items of lower reward classes for up to 1500 CHF altogether, e.g. 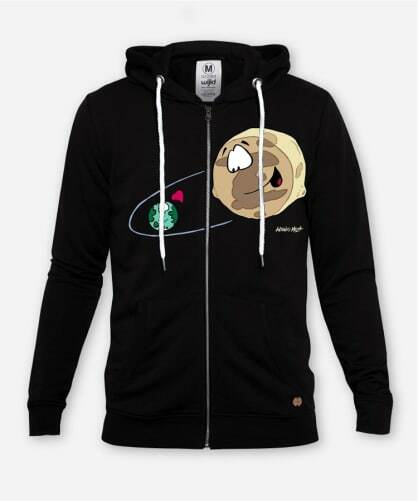 3 planets (books), 6 moons (hoodies), 10 Comets (T-Shirts), 1 moon (hoodie) and 1 meteor (poster) or any other possible combinations. In addition, your name will be immortalized under this name ("Kuiper Belt") on the homepage and in project publications. I will mention you on my homepage and in project publications as "sun". Wake up, Earth, the sun is up! In this case, I am there for an individual talk with you. Alpha Centauri A and B form a triumvirate, together with Proxima Centauri. They are our stellar neighbors, so to say. I will mention you on my homepage and in project publications as one of these stars. You will receive a VIP Ticket for the 2019 STARMUS festival in Bern. (www.starmus.com) At STARMUS, the Who is Who of science gets together and the Stephen Hawking Medal is awarded. Dimidium is the name of the first exoplanet discovered to revolve around a sun-like star. He was found by Swiss researchers, and you can go with a friend to the Gornergrat and then the telescope of the University of Bern will be shown to you there. You stay in the noble hotel up there and who knows, maybe you also have a look at Dimidium? Your name will be immortalized in publications and on the website as "Dimidium". Travel within Switzerland included. Helvetia is the name of the sun-like star around which the first exoplanet discovered (Dimidium) revolves. The exoplanet was found by Swiss researchers, and you can go with a friend to the Gornergrat and then the telescope of the University of Bern will be shown to you there. You will also meet me there. You stay in the noble hotel up there and who knows, maybe you also have a look at Helvetia? Your name will be immortalized in publications and on the website as "Helvetia". Travel within Switzerland included. I will mention you on my homepage and in project publications as "Mars". 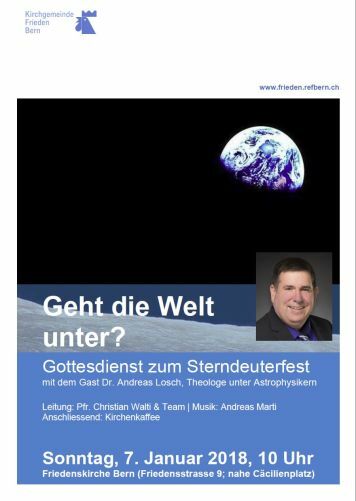 I am happy to provide a talk on the topic "Terraforming Mars or not?" exclusively for you and your guests (all inclusive), and I am there for questions. I will mention you on the homepage and in project publications as "Earth". Who does not want to be the mother of life? That's of course of so much worth to you that you do not need anything else. The Milky Way is the galaxy in which we find ourselves, together with Earth. Everyone knows the fascination of starry skies and the amazement, and the star and science fans in Latin America will be likewise amazed and full of gratitude, because they will then receive support for a conference from us (including Emanuel as coordinator and me as one of the keynote speakers). You are a true philanthropist, science fanatic and Earth lover, and therefore the gratitude of the beneficiaries as a reward is of course enough for you. Your name will of course be immortalized in publications and on the website as "Milky Way". 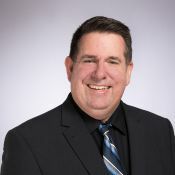 I have worked for philosophers and astrophysicists alike, yet originally, I am a theologian who is much interested in our world - and its space environment. This can't be said about every theologian. The dialogue with science and other academic disciplines and religions is of immense importance to me.